Buying your first home is a great experience! It’s usually an important part of your life and you definitely don’t want it to leave a sour taste in your mouth. So, you should be very careful when looking to invest in your first home. Here are the five most important things you should know before buying your first condo. If you act on all of them, you’ll have a lasting and a worthy purchase. The first thing you’ll need to decide is whether you want to buy or rent a home. If you’re looking to rent, then you should opt for an apartment. However, when most people buy their first home, it tends to be a condo. Before buying your first place to live, you should know how condos work. Namely, the main difference between a condo and an apartment is in who owns the unit. While apartments are usually owned by a single entity (like a company or a corporation) and therefore are only rent-able, condos are owned by individuals! So, even if you rent a condo, your landlord will be a single person while, if you rent an apartment, your landlord will be a company. This opens many interesting avenues when you’re buying your first condo! However, what you should be aware of is that even though you own your condo, it’s managed by the HOA. The Home Owners Association manages condos and their communal areas. Even though you own the unit itself, it is managed by the Homeowners Association. So, this will change the situation a bit. First, you’ll need to abide by certain HOA laws and regulations in Massachusetts. In addition to this, each condo complex has its own set of rules which are set in place by the HOA. These rules can differ from complex to complex, and sometimes they just don’t make sense! So, getting familiar with your local HOA rules is among the things you should do before buying your first condo. If the rules don’t fit you, you might have to choose a different condo in a different location. Apart from paying the cost of the unit itself, you’ll need to consider certain additional fees. As we mentioned before, condos are owned by individuals but managed but the HOA. So, there are going to be certain fees you’ll need to take into account before buying your first condo. 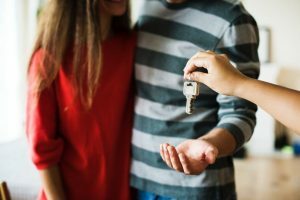 In addition to this, there are certain financial steps you can take before buying your first home which will make your condo purchase much safer. Since the HOA will manage the communal spaces of your condominium, as well as other things in a condo complex, you’ll need to pay for certain management fees. The average HOA fees in Boston, Massachusetts can vary a lot depending on the size of the unit and the amenities the HOA introduced. The average costs are between $250 – $300, but they can go as high as $600. So, make sure you can afford these fees before buying your first home. Don’t overpay for your first place of living! Since the HOA decides about these things, your condo complex might have better amenities than other complexes. You might find a gym, park or even a pool next to your new home. However, all of these will affect both the costs of the place and the monthly fees you’ll need to pay. This is a double-edged sword. You can buy a condo in a perfect complex which has everything you’ll need. This way, paying those HOA fines will be easier. The flip side of the coin is that you may end up paying for a lot of things you never use. So, before investing in your first home, you’ll want to be very sure about what you need. Additionally, we can help you calculate your mortgage before buying a home, so you’ll know what to expect. If your condo complex has a pool, you’ll need to pay for its maintenance along with the rest of the homeowners. Once you’ve narrowed your choice down to a few units, it’s time to do a thorough examination of the condos you plan to buy. In many cases, this examination will help you single out the perfect choice for you! Worth the price? -This is the first one of the things you should know before buying your first condo. You should consider how much money it will take to make it inhabitable and to your taste. If the costs are too high, you might want a different unit. Maintenance costs? – How much are the bills going to be at the end of each month and can you afford it? Don’t forget to include HOA fees in this calculation! Car parking? – Crucial for some cities, but not necessarily in others. Make sure you know what you need. Old building or a new one? – This depends on your preference and the building laws where you live. However, newer buildings usually require less maintenance. Building security – Are there security cameras monitoring your building? Is there a doorman? Of course, this also depends on your preference. Having your first condo vetted by a professional is a great idea. They’ll tell you most things you should know before buying your first condo. In the end, you should consider whether or not there’s enough space for all your things. In some cases, it’s better to choose a smaller condo for your first purchase, even if you can’t fit all of your things in it. Remember, this is your first investment, so it doesn’t have to be grand, just useful! Besides, you can use this as a great opportunity to declutter your home. If you really need the extra space, you can find affordable storage solutions. You can keep your things there until you come up with a more permanent solution. Make sure you have enough room in your new home but don’t go for something that’s too big. This is your first apartment, after all. Finally, after you’ve chosen the perfect place, you should figure out how to reach it. The logistics of moving into your new home is one of the things you should know before buying your first condo. Getting to your new home isn’t a big challenge in most cases. However, sometimes you’ll want to move to a place with a good real estate market to make your first purchase. You may need the help of professional movers to get there. Having a moving company by your side can have many merits when you’re moving to your first apartment. If your new apartment isn’t inhabitable right away, you can even use a mobile storage for your relocation and keep your things close by. This way, you’ll be ready to unpack them on short notice once your new apartment is ready.